Inmarsat has completed the successful launch of its S-band satellite (Inmarsat S EAN) for the European Aviation Network (EAN). The launch is a key milestone for Inmarsat’s unique EAN service, which is on course to commence commercial service in the second half of 2017. The Inmarsat S-band satellite, built by France’s Thales Alenia Space, was launched on an Ariane 5 rocket by Arianespace from Kourou in French Guiana. Following satellite separation, telemetry from the satellite was acquired by the Mingenew Ground Station in Western Australia. The launch team from Inmarsat and Thales Alenia Space will now raise the satellite into its geostationary orbit over Europe and the Middle East, at which point the spacecraft will deploy its solar arrays and reflectors, and undergo rigorous payload testing. International Airlines Group (IAG), which includes world renowned airline brands such as British Airways, Iberia, Aer Lingus and Vueling, has been confirmed as the launch customer for the new service. It has begun equipping its aircraft and aims to have 90% of its short haul fleet complete by early 2019. The successful launch of the S-band satellite underlines the momentum that Inmarsat is building in the high-speed broadband inflight connectivity (IFC) market, which it entered in October 2016 with the commercial introduction of GX Aviation, a worldwide service powered by its Ka-band, Global Xpress (Ka) satellite constellation. It now has over 1,200 aircraft installations expected under signed contracts for its IFC services. Mandates have been won from leading airlines worldwide including Avianca, Qatar Airways, Deutsche Lufthansa Group, International Airlines Group, Air New Zealand, Singapore Airlines and Norwegian Air Shuttle. Inmarsat first announced the plans for EAN in 2014, seeking to take advantage of a visionary and unique commercial and technological opportunity created by the European Commission’s DG CONNECT (Directorate General) and subsequently supported by Member State Telecoms Regulators. 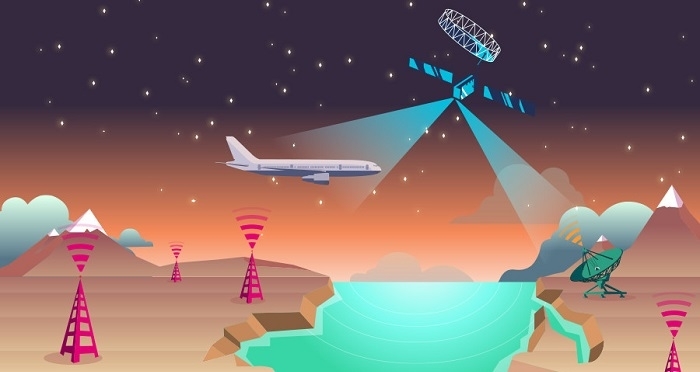 It is a testament to the continued support of European Institutions and national regulatory authorities, the hard work of multiple teams across Inmarsat and the commitment of their vital strategic partners, including Deutsche Telekom, Thales Alenia Space, Thales Aviation, Cobham and Arianespace, that it now stands on the threshold of a new aviation WiFi service that will transform the experience of passengers flying throughout Europe. Although the company is a relatively new entrant into the high-speed aviation passenger broadband market, it has secured commitments for the IFC services from major airlines in Europe and across the world. Their confidence underlines the strength of Inmarsat’s IFC strategy and the long-term, scalable capabilities of its two core IFC networks – GX Aviation and EAN.